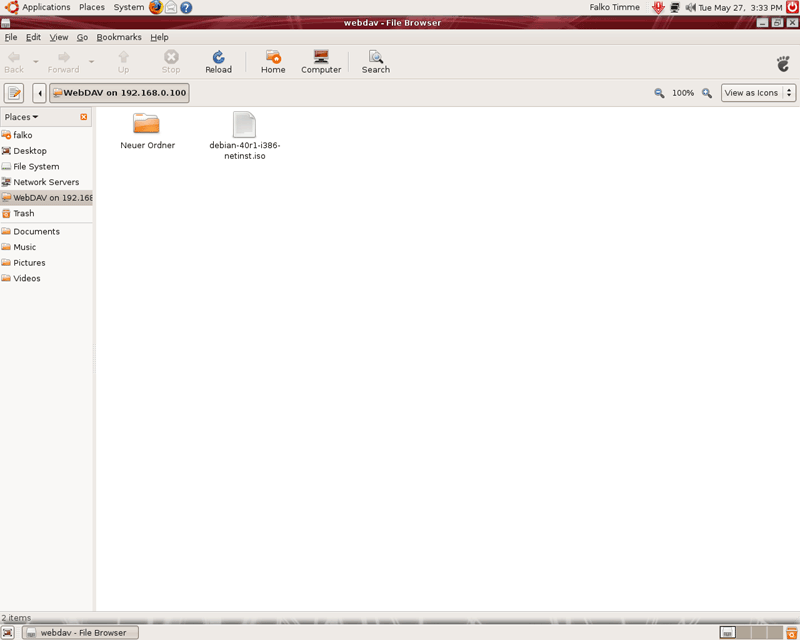 Last time it tried it (3 months ago) a webDAV client with Ubuntu/Nautilus was really slow. Painfully slow. Unusably slow. I speculate that it has to do with directory pre-caching that Nautilus tries to do. Do you also have a config syntax where each user have automaltically a DAV folder, and the login to the DAV URL takes the logged in username and displays for that user the DAV location? Hi, I have problem, that webdav is not asking password and showing directory content. 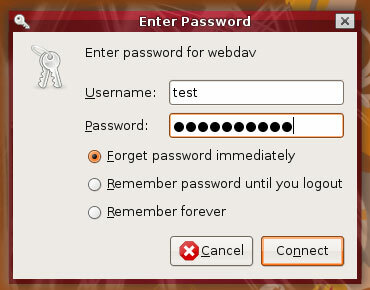 In particular, it DOES ask for password when I connect from Ubuntu->Places->Connect to Server. But when I simply enter my local IP address in web browser (e.g. from my wifi phone on the same network http://192.168.0.x (even without .../webdav/ part of the path) then I get to see all folders without asking for user name or password. Very well explained but when im trying to copy a file from my computer to my webdav service i cant because the webdav is not shared or something like that what can i do? I have followed your complete and useful instructions to install it on my server. It seems to work, as cadaver answers as expected. 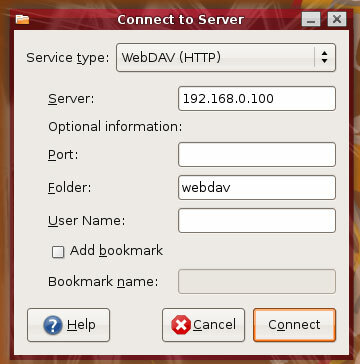 Select WebDAV (HTTP) as the Service type, typed in the Server (192.168.1.11 for me) and then the Folder (webdav). With these data I get an error saying it is not possible to mount «dav://192.168.1.11/webdav». Not an enabled webDAV share. So, I have typed "localhost" as Server instead. 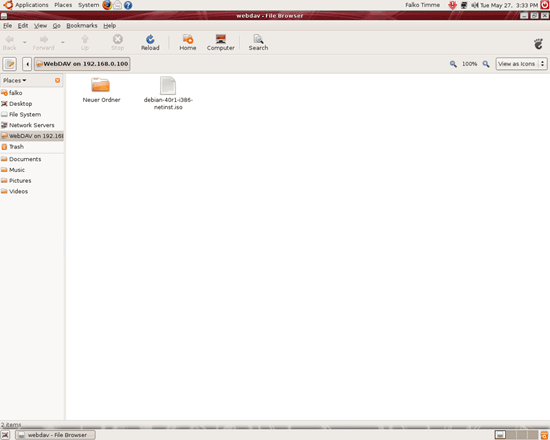 With it I am asked for user and password and the webdav share appears on the desktop. 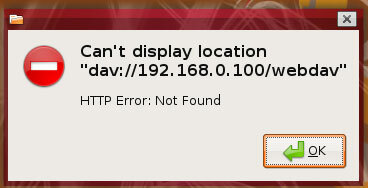 With a double-click on the icon, I get again an error like "unable to mount it because it is not an enabled WebDAV share.